Trade In, Trade Up! 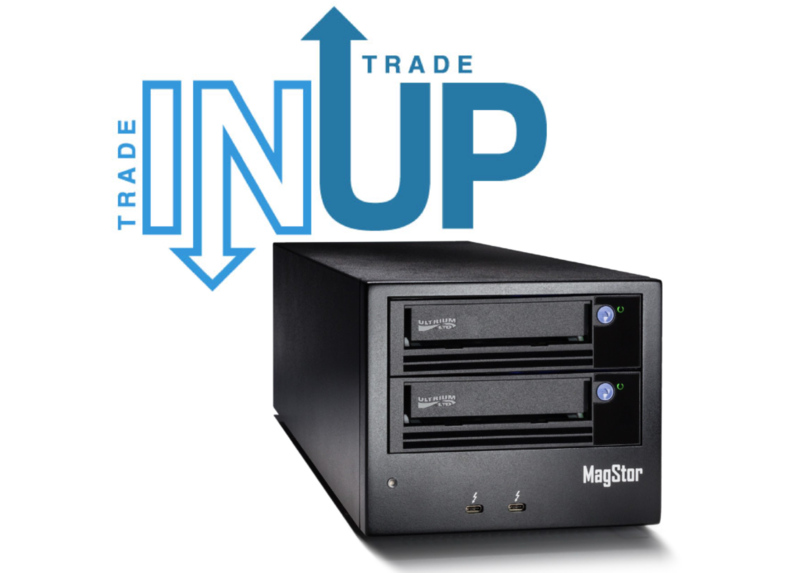 MagStor offers LTO8 upgrade deal to Imagine Products customers. 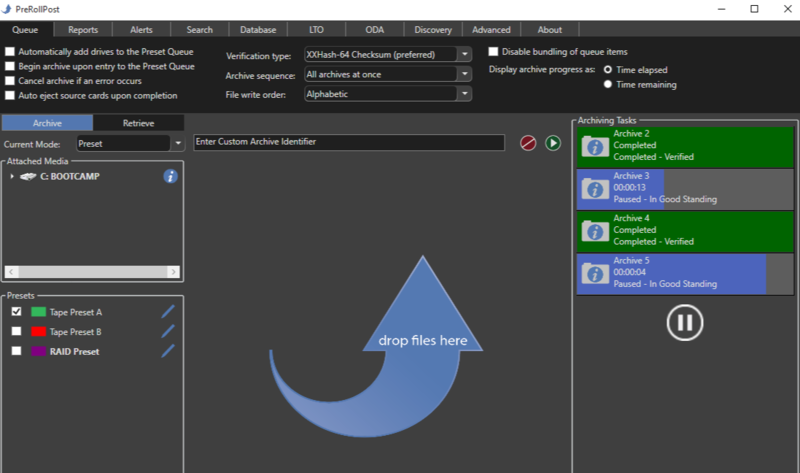 START ARCHIVING ON LTO8 NOW! MagStor is offering this incredible deal to Imagine Products’ customers ONLY! Trade your competing LTO drive in for an LTO8 tape drive. Recieve up to $1000 off your trade in! Almost all makes and models accepted. *This offer applies for US and Canada. The MagStor TRB3-HL8 features an LTO8 tape drive with a 3.5″ SATA HDD connected via a Thunderbolt™ 3 / USB-C port. The MagStor TRB3-HL-MIG features an LTO6 and LTO8 tape drive connected via a Thunderbolt™ 3 / USB-C port. The MagStor TRB3-HL-MIG is the best of both worlds and ideal for migrating your LTO 6 tapes to LTO 8. And once you’re done? 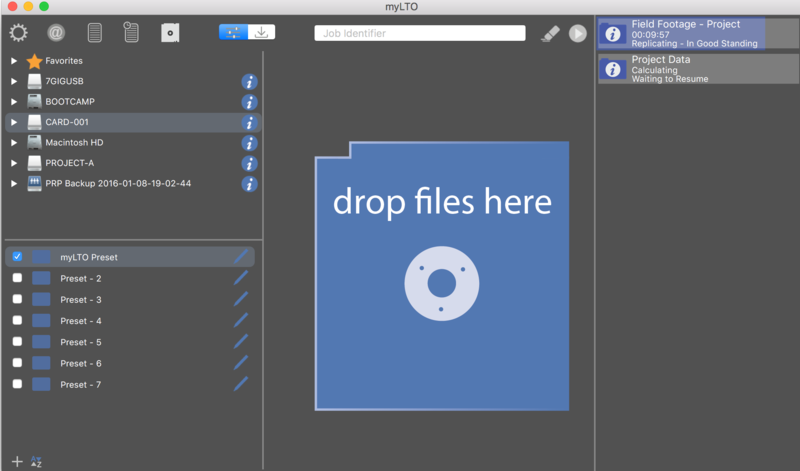 Switch the LTO 6 drive out for another LTO 8 – turning this beauty into a true archiving beast. Contact MagStor to get a quote and learn more. This offer is only good now through March 2019! Don’t miss it. Of course you already know where to find the software to accompany these drives…. Hi guys, I currently have an LTO 6 L-Tape Thunderbolt system, looking to upgrade to LTO 8. What can you do for me? I am in Canberra Australia. ← Updates and Rentals and Bundles. OH MY!